Pay Scale: Rs.37,400-67,000 with Academic Grade Pay of Rs.9,000. 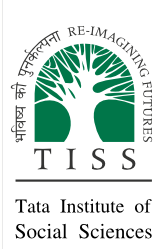 Tata Institute of Social Sciences (TISS) has released the notification of TISS Recruitment 2013 to recruit the qualified and skilled job hunters for 01 Post. The job hunters may apply through sending the TISS application form on or before 29th November 2013. Good academic record with a Ph. D. in Anthropology, Architecture and Planning, Economics, Education, Engineering, History, Law, Management, Psychology, Sociology, Social Work, and inter-disciplinary areas of social, health, management, development, habitat, disaster and climate sciences and active engagement in research with strong publications record. The candidates are requested to apply online through the link (apply now) provided along with this advertisement on Institute website www.tiss.edu.